What I liked: I really liked watching this story unfold, Aemi was a fun character to follow and she struggled with her loyalties while also being smart. It made for an interesting character and plenty of interesting moments. Nol was a character who ended up making me do a double take and question everything about him with his motives and his character completely because of what he ends up doing. This story was anything but predictable for me, and I loved that! While there wasn't much world building for Itlantis, it wasn't really needed and every piece we learned added to what we needed to know about this underwater empire. What I didn't like: There were a few points where things seemed very coincidental to me that I didn't like, but that was it really. 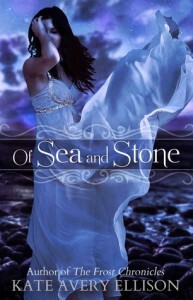 Overall Review: Of Sea and Stone is a wonderful book that is full of convincing characters who I really loved reading about and who I look forward to reading about in the next book, By Sun and Saltwater. Aemi is a character who goes through many events that makes her question herself and this book also has one big, surprise twist at the end that surprised me enough to really want to see what happens in By Sun and Saltwater! Recommend? 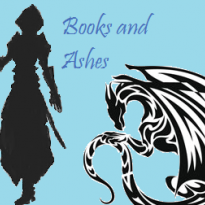 : It's a really well done book, and while it didn't always elicit emotions from me about certain things, it was a good fantasy book that I do recommend!